We are excited to have a very busy event line-up for spring 2018, to get everyone ready to garden this season! Suzanne Balet Haight, flower farmer, garden designer, and the owner of Balet Flowers & Design, will be the instructor for the following sessions. Please note that several of them require pre-registration. Shenendehowa High School, 6:30-9:30 p.m. Create a beautiful and delicious herb and edible garden with colors and textures. Learn tips to make it easy to harvest and use your own fresh herbs and veggies for cooking. Great for a sunny window or on the patio, as the weather warms up. Materials fee of $20 payable the night of the class covers your take-home container and plants. This is an amazing annual event, with so much to offer. Experience the sights and scents of spring, hear inspiring lectures, and shop in the marketplace. Balet Flowers brings lots of succulents and perennials, and Suzanne will be offering a workshop and demo on succulents at two different times: Friday, March 23 at 2 p.m. and Saturday, March 24 at 12 p.m.
Saratoga Springs High School, 6:30-9:30 p.m. Learn from Suzanne how to create your own container garden using texture and color from unique annuals, perennials or herbs. A $20 materials fee payable the night of the class covers your container and plants. Saratoga Springs Public Library, 12:00 noon. Looking for a colorful lunch date? 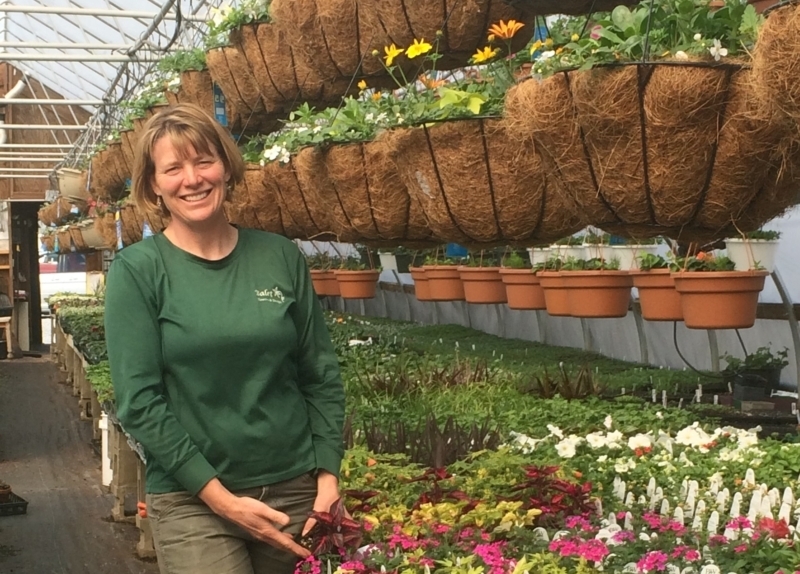 Join Suzanne for her class on adding color to your garden throughout the entire growing season. It’s free and no registration is needed. Remember to allow some extra time for parking. Balet Flowers & Design Greenhouse, Malta, 1 p.m. and 3 p.m.
Register in advance for these very popular 90-minute workshops to create lightweight, all-weather hypertufa pots at our greenhouse. Plan to bring a dust mask, rubber gloves, and $30 to cover the cost of materials and your finished eco-friendly containers. You’ll create your container on April 15, allow it to cure, and then return on May 20 to put in the plants and take it home. Balet Flowers & Design, Malta, 9 a.m. to 6 p.m.
Mark your calendar to visit us Friday, April 20 between 9 a.m. and 6 p.m. at our Grand Opening. We’re on a scenic country road just 8 minutes from downtown Saratoga Springs and 10 minutes from the center of Malta. Say hello, see what’s new for the growing season, and pick up early plants, tools, and soil amendments to get your beds ready for planting. Our staff is eager to help you and brimming with ideas.